Collection contains photographs from around the 1950s. 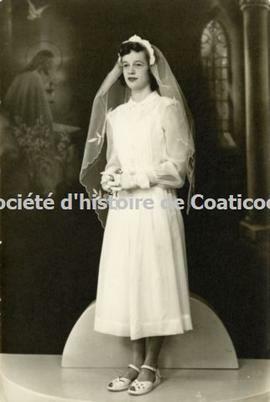 Among the identified photographs are a group of school children from St. Barthelémy in Ayer's Cliff and Marguerite Mongeau at the time of her communion. Among the unidentified photographs are a studio portrait from a double wedding and a theatre production. Collection donated by Robert Charron.